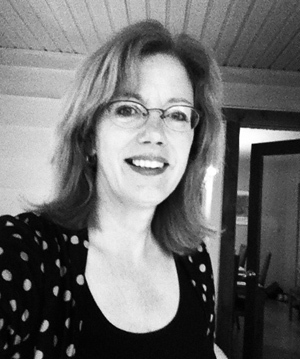 It’s my treat to welcome children’s book author and illustrator Deb Pilutti. Deb and I recently traveled to and from the SCBWI fall conference on Mackinac Island. The many miles spent on Michigan highways gave me a chance to get to know Deb better. She’s a peach. (Well, not literally. But that would make her literary abilities all the more extraordinary, now wouldn’t it?) I know you’re going to enjoy getting to know her as much as I did. And so, my Frog on a Dime friends, meet my friend Deb Pilutti . . . So, Deb, when did you know you wanted to become a children’s writer? Let’s just say I was a little dense, so it took me awhile. The signs were there. When I was younger, I loved reading more than anything. A blank book was my most prized possession. I once had Leo Lionni as a design instructor in a college workshop and I was giddy to meet him because Little Blue and Little Yellow was one of my favorite books as a child. But still, I never saw writing and illustrating for children as an option. It wasn’t until I realized I was hoarding my own children’s books, and not sharing that it was something I wanted to do. What is it about writing for children that appeals to you versus writing for adults? What’s the most encouraging thing anyone has ever said to you related to your work? Early on, I submitted a manuscript to an editor. She said it wasn’t right for her, but that she liked the illustrations and thought that I was a good writer and invited me to submit to her again. I was not very confident about my writing at that point, so it was exactly what needed to hear. What advice would you give to someone who has been pursuing publication for a long time, with close calls, but no contracts? Of course, I would say to keep trying. The fact that the person has come close means that they are on the right track. But I would also recommend doing something a little different to push yourself even more. It could be devoting more time to writing, or attend a conference or workshop or online class. A few years ago, this was the case for me. I decided to spend more time writing, which meant turning down some freelance opportunities. I also spent a couple of weekends at a writing retreat with some friends. What would you like to share about your NEW book–details! details! Ten Rules of Being a Superhero is published by Christy Ottaviano Books/Henry Holt is a story about the day in the life of a Lava Boy and his superhero toy, Captain Magma. Lava Boy is making up the rules as he and Captain Magma go along – always in the spirit of superhero play. The rules are about being super from a child’s perspective, as in “Rule No. 2: Saving the Day is messy. But everyone understands,” or “Rule No. 5: Sometimes, Superheroes make a lot of noise.” At times, the action on the page is at odds with the rule. I had so much fun making this book! And plenty of practice too, as I have spent an incredible amount of hours (A LOT) discussing the merits of various superhero powers with my children over the years. I particularly liked painting the spreads with Lava Boy’s toys in various states of distress. I am drawn to awkward, retro toys. And for the super-super serious portion of our interview—let’s say your moral compass went missing. What make/model of car would you steal and why? An old Ford pick up truck from the early 60s. And while my moral compass is missing, I’d nab a really great pair of vintage cowboy boots to go with it. Good answer! Let’s try another one–on the assumption we could find a phone booth somewhere (a museum perhaps), who is the children’s author or illustrator you’d most like to be trapped inside with? Maira Kalman. First of all, she seems like an incredibly interesting person and I would love to chat with her. She finds beauty and poignancy in the absurd, and I think she would find it in the phone booth. Plus, I would hope we would laugh a lot. Feeling brave? How about naming three things we’d be surprised to learn about you. I can only think of odd things – oh well. I talk to myself a lot. I have a collection of Star Trek figurines on my desk and I have an irrational aversion to using a salad fork. Hey, I didn’t know you were a Trekkie. Thank you so much for stopping by, Deb. Best wishes to you on your super new book! Want to WIN YOUR VERY OWN COPY of Ten Rules of Being of Superhero? Between now and Noon on Friday, October 24, leave a comment and answer this question–Who is your superhero? SUBURB KID (both with Sterling). And now, in honor of our special guest, and in keeping with my quote-closing tradition, we’ll close with one of Deb’s favorite quotes . . .
Wonder Woman is pretty cool. I can see why you’d admire her, Kristin. Thanks for stopping by! Vicky, Thank you for hosting me! I always enjoy your musings, and it was a treat to be here. I particularly enjoyed reading about everyone’s favorite superhero! Well, thank you for being such a fine, uh, I mean, SUPER guest, Deb! Great Interview! My superhero is my seven year old sister. She fought cancer. She didn’t win, but she made me realize how precious life can be. She would have loved this new book. Rita, thank you so much for sharing about your sister. I’m sure you’re holding on to a lot of precious memories of her. Thank you for visiting Frog on a Dime. Always glad to have you here! I’ve always been a Spider-man fan. Geek teenager turned superhero who’s an underdog with flaws. I hear you, Tim. I like Spidy too. Thanks so much for visiting Frog on a Dime. Come back soon! Oh, Deb, I LOVE your answer for the appeal of writing for kids (v.s. adults). Me, too! Me, too. Thanks for another great hosting interview, Vicky. Thank you so much for stopping by, Sandy! Isn’t Deb fun? Great interview involving two of my favorite ladies and two of my favorite subjects–superheroes and Star Trek! Woot!! My son would’ve loved this book when he was a kid. Hey, Lisa! Thanks for stopping by Frog on a Dime. Glad you enjoyed the interview. Isn’t Deb the coolest? Live long and prosper my funny friend! I really enjoyed this interview, Debs. I think just talking back and forth saying, “Deb this, and Deb that” had to fun entertaining in itself. I have a five year old grandson and a three year old granddaughter who play superheroes every day. I have to check in to find out who they are each day so I know how to enter their worlds. Thanks so much for stopping by Frog on a Dime, Dany. I love what you shared about your superheroes! The SCBWI conference was a great time to meet so many children’s authors! 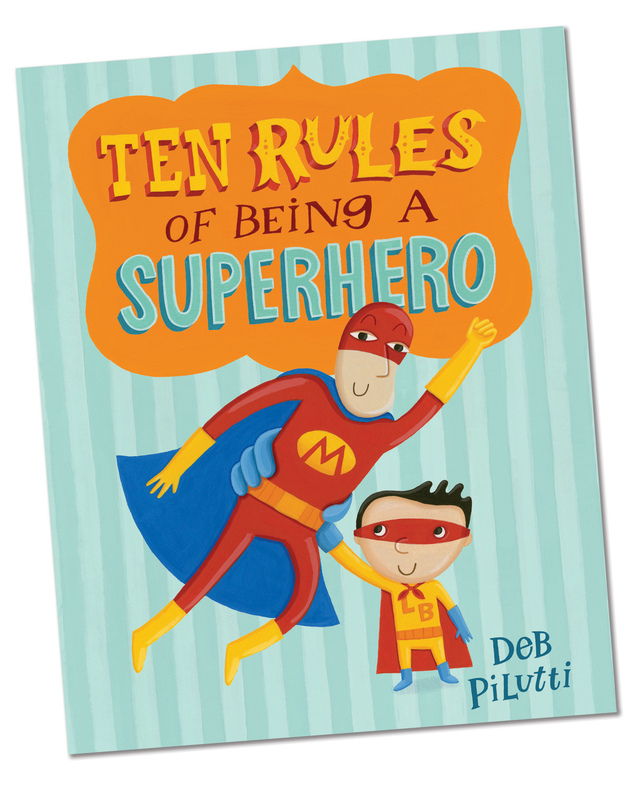 I didn’t meet Deb but look forward to getting her Superhero book – especially since my five-year-old grandson, well … lives in a cape! I’d have to say that my two heroes are my daughters – one a pediatric nurse who regularly brings me to tears with poignant stories and her connection to children, and the other a young mom whose mothering journey often leaves me in awe. Thanks Vicky! Vicki, isn’t it wonderful when our own daughters become our role models (or superheroes)? That means you taught them well. Thanks so much for visiting! My superhero is my mini-labradoodle, Kona, who lives in a perpetual state of happy, “Chippies! Happy! Blowing Leaves! Happy! Sand digging! Happy!” and this reminds me that joy is abundantly most everywhere. Kona sounds like a delight and a great reminder to enjoy the simple things in life. Thanks for stopping by, Carrie! I find it so cool that you and Deb bonded on the way Up North to the Mackinac (Mackinaw?) Island Scbwi Conference. Ruth and I enjoy some spirited conversations as we drive; our windshield has more ideas bounced off the inside than bugs bounced off the outside. I’ve known Deb a long time, but never really got to spend time with her. She’s a very cool person. Great interview. And great advice to a writer getting close. Congrats to Deb on her new book. Thanks for stopping by, Natalie. Literary Rambles has been my go-to for the last several months during my ongoing agent search. Thanks so much for providing such a great resource. Great interview ladies! My superhero is my daughter who despite being visually-impaired always greets everyone with a smile and hug. She bounces through her day with more love than fear. She gives and forgives all people. She makes me want to be a better person. Oh, that’s so sweet, Lisa. Isn’t it wonderful when our daughters become our role models? Thanks so much for stopping by. Superheroes don’t always wear capes or change clothes in a phone booth. (Phone booth? What’s that?) In my life, the real superheroes are my many friends and family members who are battling cancer with grace and hope, AND the friends who are shouldering eldercare responsibilities. That’s lovely, Pam. Thank you so much for sharing. Great interview, ladies! And the new book sounds so fun, thanks for the giveaway! Well, thanks for stopping by, Miss Jennifer! I enjoy your blog. For some reason my comments can never go through. You must have a really tough censor. I’ll try to cut back on the cussing. Ha! Thanks again! Yes, I do like to use the words bathroom and toilet a lot. 🙂 Just wanted to let you know I’m visiting your blog, even if I’m banned from commenting! I have to pick my entire critique group as my superheroes. Without them, I probably wouldn’t still be writing. They push me to keep going and have helped me so much along the way. Your critique group? That is “super” awesome. I’m sure they think you’re a hero too. Thanks for sharing! Thanks for the interview and awesome giveaway! I can’t wait to read your book!! My superhero is Tony the Tiger, ever since I can remember (I even named my stuffed tiger Tony that comforted me through my what became annual childhood pneumonia). Tony’s GREAT! Who doesn’t love Tony. He’s Grrrrreat! That’s really sweet, Danielle. Thank you for sharing. Thanks for the interview, Deb and Vicky! Thank you for stopping by, Miss Ann. Always nice to have you here. Loved getting to know you here on Vicky’s blog Deb! I especially loved the part about stealing the truck, because I would totally have thrown in the cowboy boots too (I actually have a pair!) So now, to answer Vicky’s question, currently, my favorite super hero is Iron Man. A few years ago it was Margaret Thatcher…but she never had a cool suit…I mean she wore a lot of lovely suits, but they didn’t fly…so I switched. I liked the truck answer too. You just never know what you’ll find out about a person until you ask! Thanks so much for visiting Frog on a Dime.